Most of us will be staying at Lake DeGray State Park Lodge that first night, Thursday, 877-879-2741, for reservation. A 2 queen bed room without a lake view is $100 + tax. You can also camp further down the road and come back to the lodge for meals. 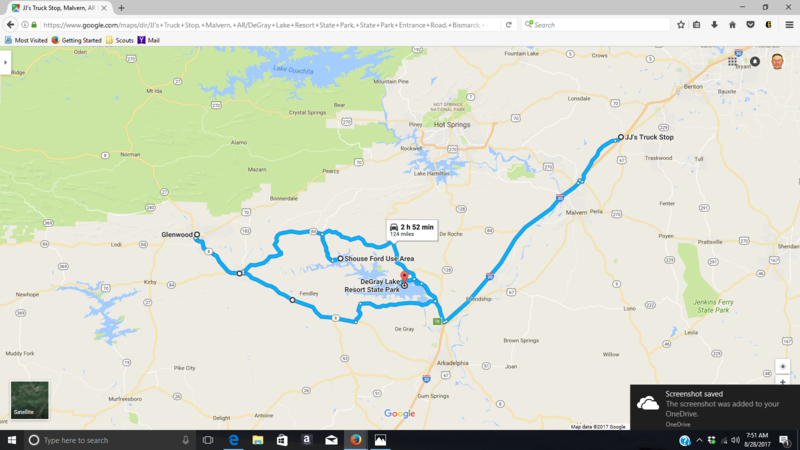 Day 2 (Fri): Lake DeGray to Glenwood via Amity: 38 miles, staying at Glenwood Country Club, 800-833-3110.